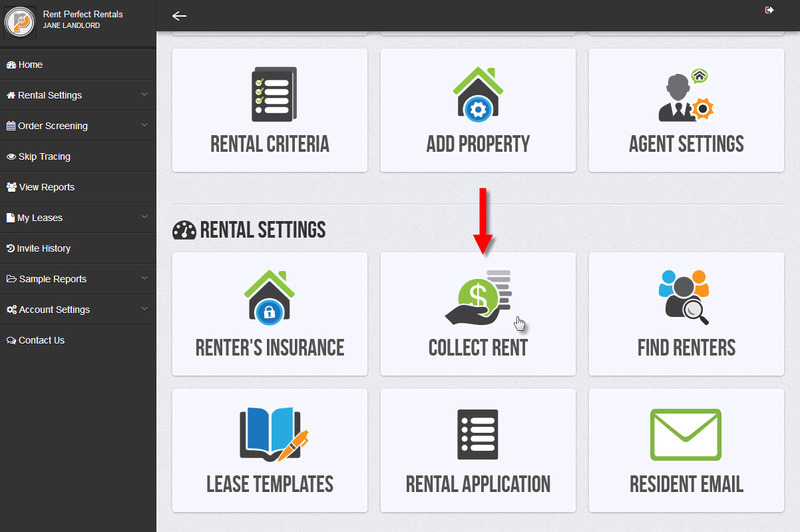 How do I enroll in online rent payments? Rent Perfect landlords have the option to enrol each property with online rent payments. Once a property is enrolled tenants must log in to their rent perfect tenant portal make a one time payment or set up automatic monthly payments. 1. Log in to your rent perfect account. 3. Click "My Rent Pay" at anytime to view a list of enrolled properties or to look up transaction activity. 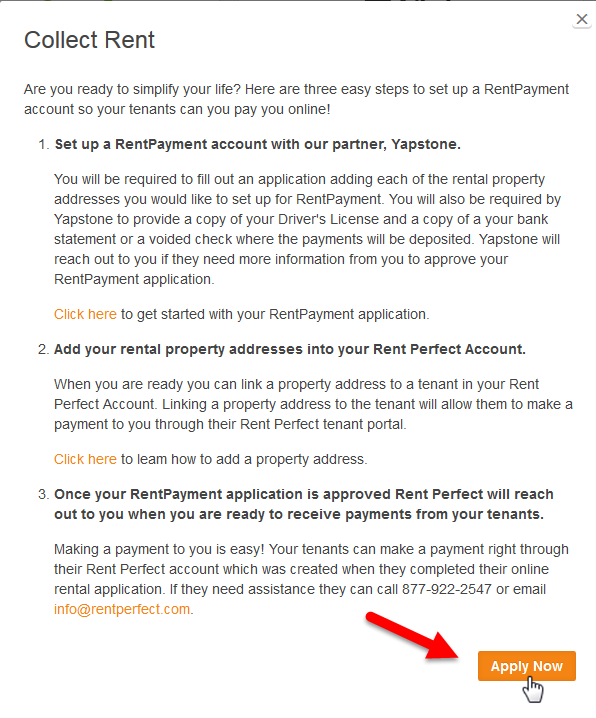 Applying for a RentPayment account is easy and free. The tenant will pay a processing fee for each payment.